After an intense 25 hours of non-stop coding and development, four teams emerged victorious at the Selangor Smart City & Future Commerce Hackathon, a two-day hackathon held on 8 – 9 September 2017 at the Setia City Convention Centre. 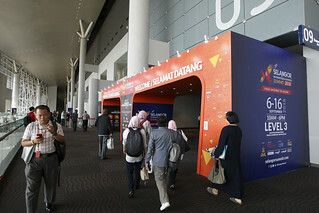 Jointly organised by the Selangor Information Technology & E-Commerce Council (SITEC) and Devs Asia, it formed a core side-event at the Selangor Smart City & Future Commerce Convention 2017. The hackathon attracted 150 participants, 6 panel judges, and 20 mentors, and saw the formation of 46 teams who competed to develop working prototypes based on two thematic challenges – Smart Cities and Future Commerce. Teams worked on solutions to make cities safer, smarter and more sustainable, and at the same time, explore the use of technology to meet the needs of citizens. 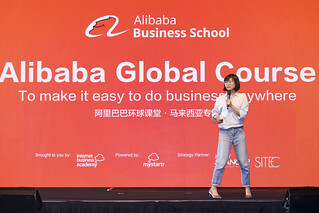 The opening comments were delivered by the Chief Executive of SITEC, Yong Kai Ping, and comprised an opening ceremony, 2 rounds of demos, and the prize giving ceremony. The top three winners went home with 12 months free access to the Selangor Digital Creative Centre (SDCC) co-working space and a free Design Thinking Lite + Cognitive Pop Up workshop by IBM CoDE, on top of cash prizes, whereas the others went home with all the above, but 6 months of free access to the SDCC co-working space. Champions ‘SmartSOS’ won RM 5,000 in cash plus a 3-day MVP Development Bootcamp (worth RM 1,899). 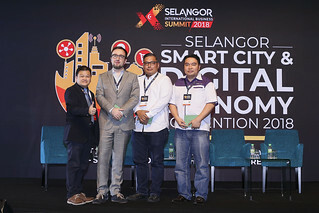 ‘SmartSOS’ is a platform focused on connecting agricultural products by rural and urban poor farmers to city consumers, in turn helping them to increase the economic scale of their businesses to create better opportunities in order to reduce income disparities between the rural and urban citizens of Selangor. “I’m impressed that a lot of youths took part; many were undergrads and newcomers who took the effort to not only to win, but to get the experience. Any initiative that taps into talent for the future is always a great one, because we seldom see young people putting in the effort to create. Usually, the private sector would organise events like this, and very seldom, governments, so I think this was a great initiative! Governments should really do more to engage youths,”, shared Vishanthini Kanasan, Principal Assistant Secretary of the Penang State Government, who also presided as one of the panel judges for the Hackathon. The second and first runners up, ‘MyPlate’ and ‘Numbawan Bus’, won RM 3,000 and RM 2,000 respectively. ‘MyPlate’ is a service to facilitate payments for tolls and parking using computer vision and deep machine learning to recognise and identify license plates, charging linked debit/credit cards automatically when the driver passes a gantry. ‘Numbawan Bus’ is a dynamic bus-routing app that facilitates a smooth and efficient bus service for drivers and multiple commuters in a shared area by requesting for a customised bus stop in a convenient location. Cash prizes of RM 1,500 were also awarded to champions ‘SmartSOS’ for the ‘Most Impactful Hack’ and to ‘FacePay’ for the ‘Most Impressive Hack’. ‘FacePay’ is a futuristic payment service that enables users to pay for purchases through facial and voice recognition technology without the need for a mobile phone. It also provides for seamless transactions using cryptocurrencies whilst minimising risks associated with it. The event was supported by Gen-S, Cradle, IBM CoDE, LEAD and the Smart Selangor Delivery Unit (SSDU) and Community Partners MaGIC, WORQ, Kiasulab and StartupMamak.